Sony has finally started rolling out Android updates for its low-end phones. Sony Xperia E1 and E1 Dual owners will be delighted to know that they are on course for receiving an Andrroid Kitkat update. E1 series owners can check for the update by navigating to Settings > About Phone > System Update. The update should also be available over-the-air soon, for those using the Sony Compaion app. While global consumers have started getting the update, Indian consumers might have to show a litte patience for the same. Regardless of that, if you happen to be an E1 owner, keep checking your phone for updates. The Sony Xperia E1 and E1 Dual Android Kitkat update comes with not just the usual Android Kitkat features but also new customizations from Sony. Here’s what the update offers. Google’s Android 4.4 KitKat – performance & UI optimisation. Tweaked Status Bar and Quick Settings – more intuitive and customisable. Better storation to easily move applications from internal memory to SD card. 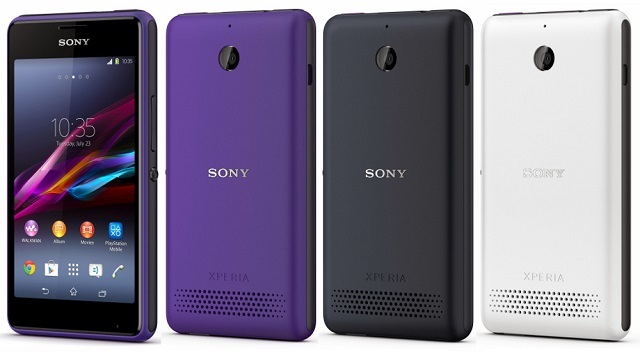 Xperia Themes, with downloadable UI packs from Sony Select – skin up to 280 assets across your Xperia smartphone. Sony has also given us reasons to rejoice stating that the Sony Xperia M2 and M2 Dual are next in line for receiving an update.